Having just spent the last 7 days on a family vacation, I witnessed first-hand the natural beauty of the Desert Southwest. We were fortunate to have the presence of National Geographic photographer Phil Schermeister. The colors represented here are the clarion formation, iron-oxide rich depositions of limestones from an ancient riverbed, lakebed, and cretaceous sea from approximately 50 million years ago. 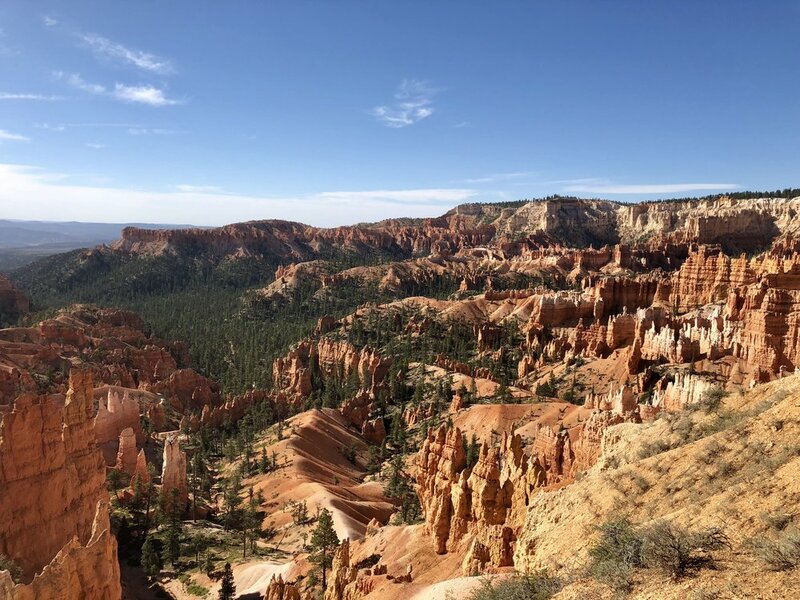 The top layer of the Grand Canyon is the bottom layer of Zion Canyon, and the top layer of Zion is the bottom layer of Bryce Canyon. Hence, the grand staircase. Essentially, when we were down in the Grand Canyon, we were missing approximately 10-15,000 feet of earth that has eroded away so that there is almost no evidence that it ever existed. It reminded me that the art to great storytelling is to use facts and figures to paint a mental image in the listener’s mind. That’s what good digital marketers do to create engaging content for their readers. With colorful comparisons and contrasts, the images are burned into the reader's memory cells and evoke emotion that stimulates their soul. Older PostWhat is Your Personal Branding Strategy?